Creative Response Activities for Children on the Spectrum is a clear, comprehensive and intuitive guide that offers a wide selection of hands-on interventions to be used in any therapeutic or educational setting with children who are ‘on the spectrum’. From drawing and writing poetry to skiing and skateboarding, this book describes these and many other creative activities geared towards children with autistic features, attention deficits, hyperactivity, paediatric bipolar disorder and other related conditions. This new resource provides an innovative blend of theory and illustrative case examples designed to help therapists and educators assess children’s needs, formulate therapeutic and aesthetic interventions, and analyze creative outcomes. 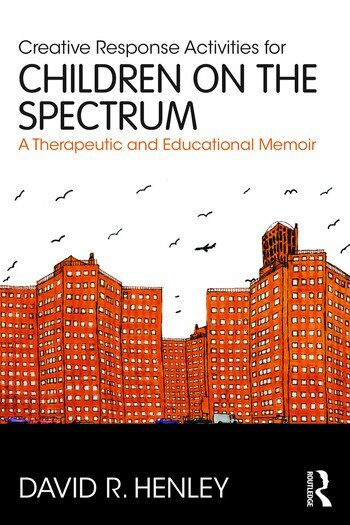 David R. Henley, PhD, ATR, is a nationally recognized authority on child art therapy, a professor and the former chair of the creative arts therapy programs at the Art Institute of Chicago and Long Island University. He is the author of Exceptional Children, Exceptional Art and Clayworks in Art Therapy. During his career as an art therapist and educator, he has lectured, taught and written extensively on many aspects of art therapy. David is also a ceramicist and a mixed-media artist.